My Choice by Sorana N.: Easy tips !!! I love that first idea! How smart!! the last tip I must to try! I love love that waterfall braid on the ponytail! I loved nail art and braided updo... The post is so cool.. Very useful.. Superb! Daca as avea mai mult timp, pe toate le-as incerc. Astept sa-i creasca parul fiicei mele sa le incerc pe ea. Pupici! Nice tips. I just love the first manicure. Prima idee, cea cu manichiura trebuie sa o pun in practica...de mult aveam de gand. Daca as avea si rabdare pt. unele chestii.. Awesome tips! 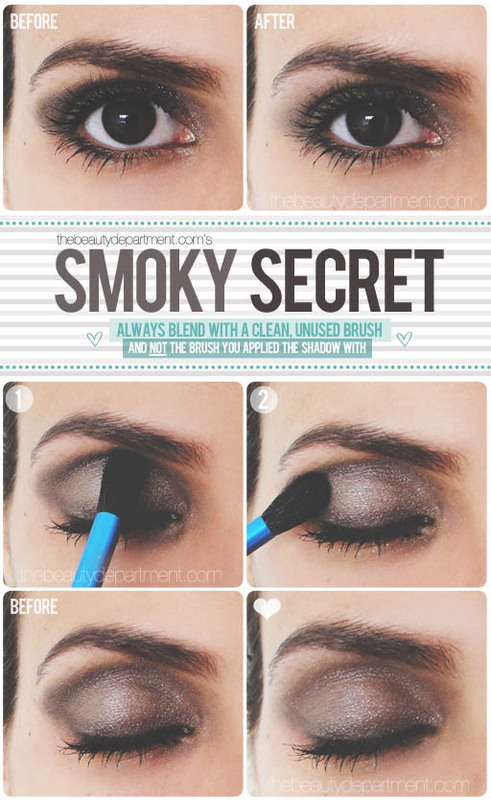 Love smoky eyes and cute nail polish. Thank you for your lovely comments. I am following you now. Hope you will follow me back.